Revelation is the climax of God's plan for history. Everything that begins in Genesis finds resolution in Revelation. In this final book of the New Testament we orient to God's plan for the future and fine tune the priority of living today in light of eternity. Revelation is unique in that it contains a promise of special blessing for those who teach it and for those who study it and apply the lessons learned. It's not just about the future, but contains vital teachings about our destiny that vitalize our thinking about today. Starting with lesson number 28, video DVDs of these lessons can be ordered here or here. 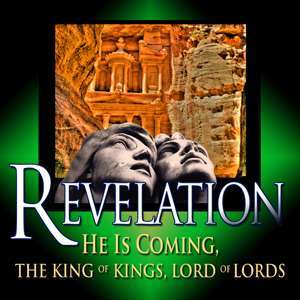 To view all video Bible studies in the Revelation series, click here.